Even with an extra day February has passed in the blink of an eye. #StylingtheSeasons has taken on a life of its own and is absolutely full with your beautiful images and snippets of Spring - its impossible to choose one I like best. 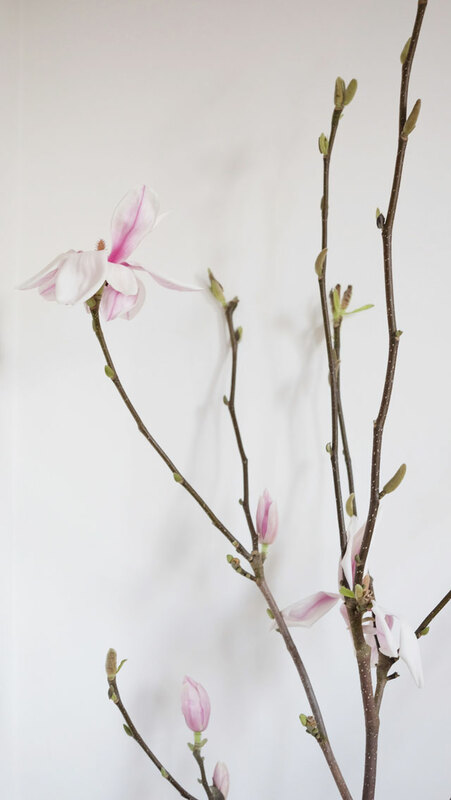 My favourite post for the month has to be Ruth from Gathered Cheer's gorgeous magnolia tree. Magnolia pink and spring green has to be one of the most classic colour combinations, it definitely lures me out of hibernation. Along side Ruth's gorgeous pictures I love her words too, there is something about the change of season that makes me dream and hope too. I really like your blog it contain very informative information styling thank you for sharing it.